WHAT?! 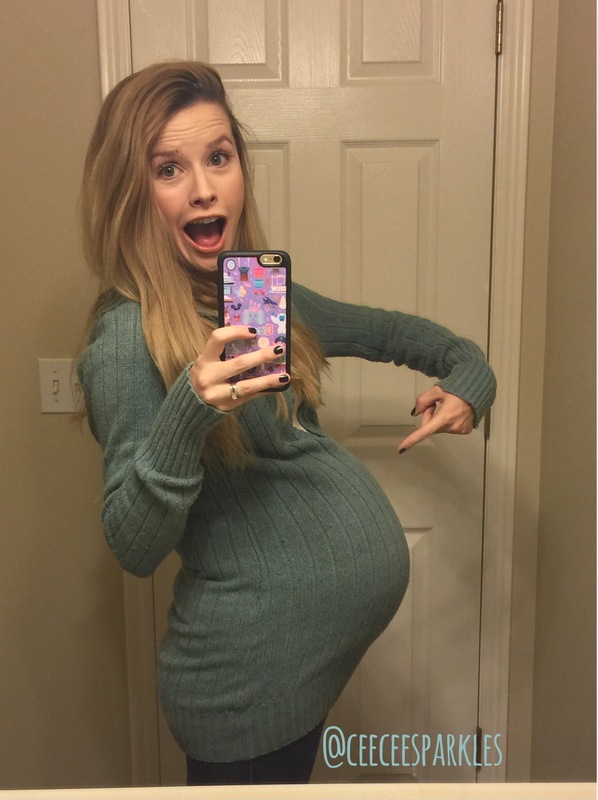 35 weeks preggo? Just 5 weeks until me and Baby Boy’s due date! I remember finding out we were pregnant at almost 4 weeks and thinking it would be ages until I reached the finish line – or even nearing the finish line. Well here I am, and I’m very excited to say it hasn’t really felt like ages. Dare I say it, its gone by almost quickly. We are so close to baby time. The Wild Man and I are so excited and we are basically all the way ready, too! Baby Boy has been measuring big so theres always that thought in the back of my mind that he could come early, so its comforting to be ready, more or less. Pretty soon we are going to be parents and be able to experience the joys and wonders and crazinesses of having a new little one to care for. Eep! Bring it on. I’m so excited.